Samba Fogo is turning 21. Rather than celebrating at a bar—where most of their performances are held—the Afro-Brazilian music and dance company is gracing the Rose Wagner Center with their most elaborate performance to date: Fogo Na Cabeca (Fire in the Head). 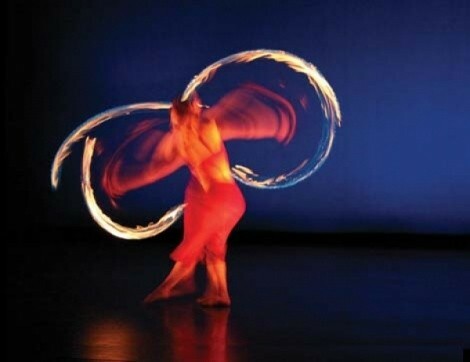 A theatrical stage opens up possibilities, offering space for fire dancing. There’s also a well-rehearsed, top-tier lineup of more than 20 performers and tight choreography, which enhance the storytelling of tales and myths through movement. The choreographic inspiration is drawn from the Orixas—Afro-Brazilian deities. “Xango is the god of fire, drumming and lightning. We do a lot of movements inspired by the traditional dances for him,” says Samba Fogo artistic director Loren Hansen, who’s joined by Rosangela Silvestre as the evening’s choreographers. In developing her own technique, Silvestre focuses on four natural elements as contained in body parts, including fire in the head. “That represents determination and attack. We feel really driven to keep presenting this art to the community, so that seemed like the perfect name [for the performance],” Hansen says. Hansen has a degree in modern dance, in addition to training in Afro-Brazilian dance. “We really don’t get the chance to show off those skills. On this stage, we can fuse these with classical and contemporary concepts,” Hansen says. Fire dancing, capoeira, acrobatics and live music join the mix. This is no generic variety show. The fusion of sensational dance, music and martial arts in Fogo Na Cabeca works.